Wilgus and Gagliano go into amazing, thorough detail on every step of creating a graphic novel. Itâs inspiring to hear from so many people working in non-superhero long-form comics (although superhero comics are represented as well). The two presenters are knowledgeable and clearly having such a good time. Also, the podcast doesnât delay getting into each episodeâs main content, apparently a rarity. Please donât stop, and keep zooming in on more aspects of the process! Thank you for creating a source for such valuable information for us struggling creators out there! I have seriously wanted to know about the technical side of comics since I started thinking I wanted to have a career as a graphic novelist in my junior year of high school. It's so cool to hear all this industry info that you might not have access to if you never go to Art School/Uni or get a chance to work in the Publishing world. It's really digestable, organized, and all around concise about the various processies and steps that go into making a GN into a reality. Thank you so much for making and then continuing to make this podcast! I hope I'll be able to use the information gained to help me get my work published/publish my work one day. I adore Alison and Gina's in depth explorations into the many, often contridictory or confusing aspects of comics publishing. If you've had questions about how the independent comics industry works or your anxiety has held you back from leaping forward in your career, this a great podcast for you. Love the interviews that Alison and Gina are doing. Inquiring questions that we all want to know about publishing a graphic novel in todayâs climate. Super informative about every part of the process. The last one about acquisition blew my mind! Andrew E. From Harper Collins sheds a large spotlight on what really goes on with acquisitions at a publishing house! Other episodes are fabulously interesting as well. Listen with your ear up to the edge of your phone and have your notepads ready! Tons of useful information! I honestly don't keep up with podcasts well, but this one's an exception! Alison and Gina are both knowledgeable people in comics with great networks and it's cool to see them make use of that with this project. If you're interested in getting involved with comic/graphic novel publishing in any capacity, listening to this is a must. 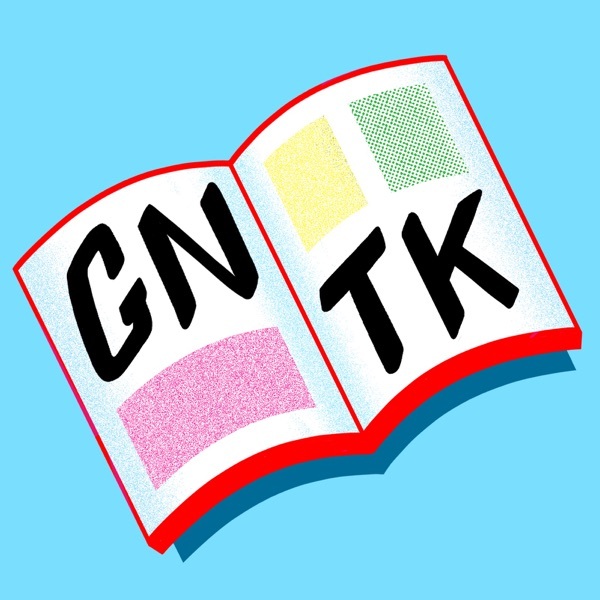 This podcast is great for anyone interested in comics publishing, comics, or publishing! The interviewees bring interesting new perspectives, and Gina and Ali are funny and candid about the comics publishing process. Thereâs not a ton of name-dropping, but listeners who are familiar with US-published comics (outside of Marvel/DC) will hear some names and titles they recognize. I particularly enjoyed the Ryan North episode about his professional path from webcomic maker to Squirrel Girl writer, and the Calista Brill episode about pitching to editors and the process of book acquisition. This podcast is really clear on its intent on educating comic creators of all levels. So far I am really impressed with the questions they ask. I have a general idea of what they are talking about, but I do find some moments to be rich with information that I had not considered or come across before. They do stay on topic and guests so far have taken the time to unpack their experiences and explain their process. Really grateful this is available to anyone because it is highly recommended to anyone who has ever wondered about the process of how our current graphic novels are being made. This podcast clears up so many questions about comics publishing. (It's better than several years of digging through Google results.) ;) I wish I'd had this when I was starting out! The hosts are great and explain the nitty gritty of publishing. They're clear and thorough, and yet they manage to explain each concept concisely. The guests have been great so far, and I'm looking forward to more episodes! I also love hearing how all these people do such different jobs within comics, and how they got into the industry. I thought the first episode interviewing Ryan North was very good, especially where he related doing Dinosaur Comics for so long being a resume and proof of work ethic for future jobs. The hosts seem to have picked a good subject for their knowledge. Recording quality is good. Looking forward to the next episode and learning what the title means.